Flipboard’s Update Is a Real Game Changer. Last week Flipboard launched a very important update. One that will make you think twice about the app. It’s a self-service program that helps publishers be discovered on the platform. If you are looking to get more visitors to your website, now is the time to get on Flipboard and submit your RSS feed! Along with this update, they also rolled out the Reader Enhanced Display (RED Bolt) for mobile-optimized pages. A little lightning symbol will appear next to articles on Flipboard. This will enhance the reader’s experience by making pages fast loading with no intrusive ads. So far, publications like The New York Times and The Washington Post, to name a few, have the RED Bolt designation. The first thing I did once I got the news was to try a test drive it myself. I logged onto the app and followed instructions to submit my blog. I then added the RSS feed and was pleased to see my blog posts automatically populated in a magazine. However, I did have to add the images by hand, (see attached gif) but never-the-less I am delighted not to have to add my blog because it flips on its own. Once this seamless process was completed, I now had to wait for Flipboard to approve my RSS feed. I assume this will take some time, given that this is a veritable gold rush for most active bloggers like myself. I can be patient since the payoff will be great. Marketers are publishers by nature. 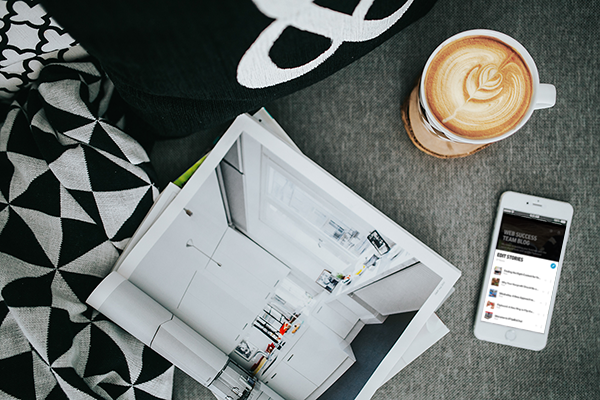 You can create real lifestyle environments on Flipboard magazines. A corporate blog can now be tips on finance or millennial travel. A social media channel can now be an employee advocacy forum. See where I am going? All your company ideas and branding is in one place, ready for the millions to read and share. 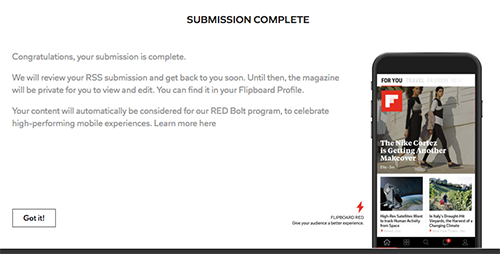 Now is the time to send those Flipboard readers to your website. With the upcoming holiday season, here are suggestions to market your company. As you can see, here are the choices for magazine creation. You can get very specific with your marketing campaigns. I personally like to use the group magazines for collecting ideas for future promotions. Other platforms are becoming saturated with noise and adverts. I said it earlier, Flipboard has 100 million readers. The marketplace for influencers is beginning to take hold on the platform. There are also many opportunities for networks to co-curate with Flipboard’s co-curation tools. Since I don’t know how long it will take to get your RSS feed approved, I recommend you get a head start and send in yours a.s.a.p. Don’t forget to add the Flipboard tools to your browser and website. Flipboard is changing the way we see a classroom. Millennial parents are creating a need for major updates in our educational system. Educators can create instructional magazines and designed for their students. Parents can assist in the learning process by contributing to magazines. Imagine customizing a Flipboard for your child by adding a special family twist. I can see major changes in lifestyles in the future. For example, a young student can travel without ever leaving the classroom. Janette: How would you compare and contrast Flipboard with Paper.li? I wonder if my writing and self-publishing journey of a book series on tea, could be a good fit for Flipboard as I start my new blog, Tea Book Sketches. Paper.Li and Flipboard complement each other. 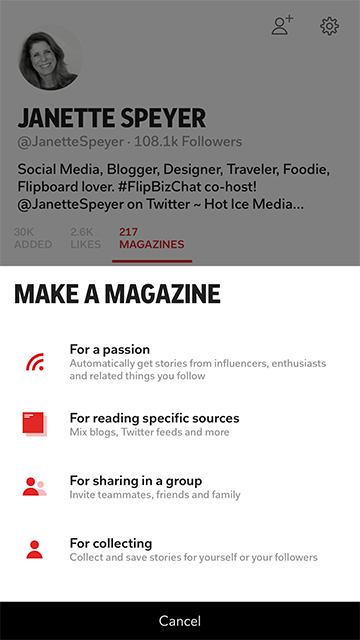 Flipboard is perfect for bloggers. take a look at my blog here https://flipboard.com/@janettespeyer/web-success-team-pv1ccr12y.